The Kaito KA450 is a great little emergency radio. 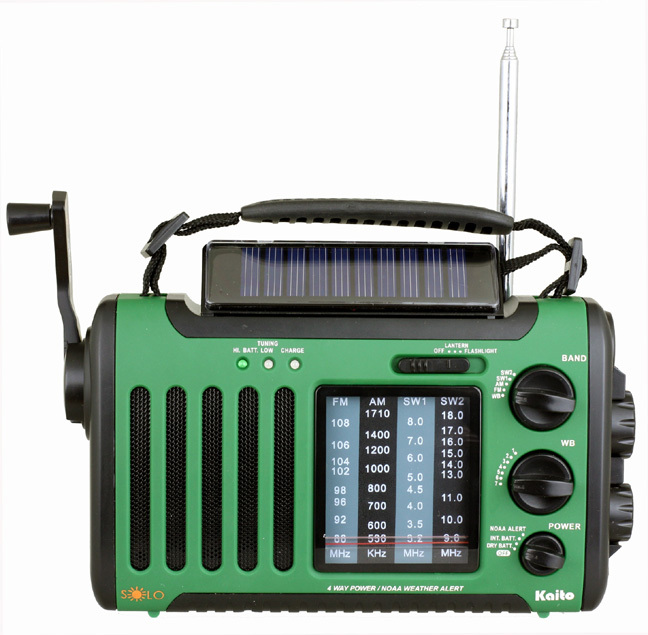 There are five ways to power the KA450: dynamo cranking, solar panel power, three AA cells (not supplied), built-in rechargeable battery pack, supplied AC adaptor or from a computer via the USB port. The radio is designed to charge some other electronic items. It has a bi-directional USB jack that can connect with many standard USB enabled items like iPods, cell phones, etc. 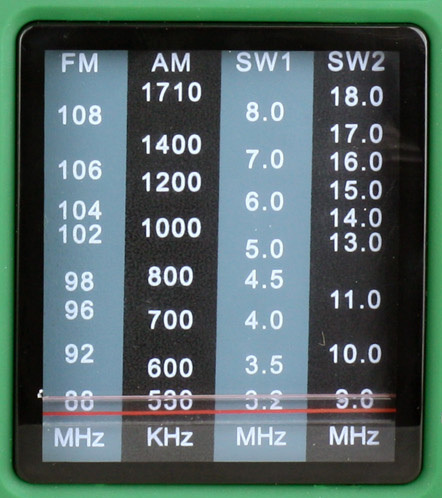 This radio tunes AM, FM and shortwave in two bands: 3.2-8 and 9-18 MHz. The weather band tunes 162.400/162.425/162.450/162.475/162.50/162.525/162.55 MHz. The weather band has an alert feature. With a water resistant green case. Its a great light source too. On the bottom side of the solar panel is a 5 LED reading lamp that you can use in poorly lit conditions. The radio is built with a multi-function LED flashlight on the right side panel. It can be used as a flashlight or can be a red flashing emergency signal. Supplied with AC adapter with mini-USB plug and earphones. 8 x 4.5 x 2.5 inches. Copyright 2012-2017 Universal Radio, Inc.